The UCLA VAPAE Program is generously supported by the University of California, UCLA School of the Arts and Architecture, and private donors. If you are interested in contributing and supporting the UCLA VAPAE Program, please click here to donate. Any gift, large or small, helps support VAPAE's mission to provide much needed arts education in our Los Angeles community. Get to know our Arts Education Ambassadors on our Tumblr page here. 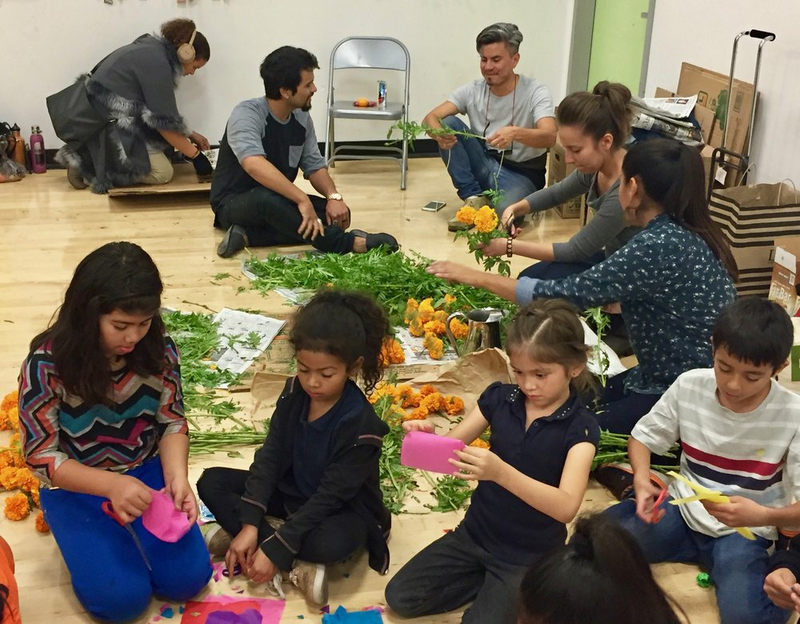 Provide 30 weeks of free arts education to K-12 students at an under-resourced Los Angeles public school or community center. Your gift will make a substantial impact on the lives of dozens of students at one of our partner sites. Through our unique afterschool arts program, students will benefit from multi-disciplinary, high quality arts instruction for a full year. By supporting this program, you will address the inequities in arts education, which nurtures the development of cognitive and personal competencies, yet is often eliminated due to budget cuts. Help VAPAE foster dialogue and advocacy about arts education and its value for all students by underwriting a single event in our ongoing Public Event Series. All of VAPAE's events are free to the public and offer a space where university students, teachers, parents, and members of the community can share ideas on topics surrounding arts education. Make a significant investment in arts education for students from underserved communities. This contribution will entirely fund a 10-week VAPAE afterschool arts program at a Los Angeles public schools or community center. From teaching artists to supplies to snacks, your gift will provide everything needed to help dozens of students develop their own artistic identity and creative confidence. In the schools and communities that VAPAE serves, our students thrive when they are well-nourished and ready to create. Your gift will cover the costs of healthy snacks as well as paintbrushes, paper, glue, scissors, pencils, camera film, and other art materials for the students participating in a VAPAE afterschool arts program over the course of an entire year. Any size gift helps support VAPAE's Afterschool Arts Programs and Teaching Artists throughout the city. Thank you for your generosity and partnership in making the arts accessible for more children.